"Something special! A spiky, engaging love story with uncommon wit, considerable grace and insight." Opposites attract, repel and collide in a savvy comedy romance from Bill Kalmenson. 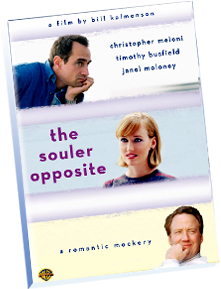 Chris Meloni (Law and Order SVU) stars as Barry, a comedian whose love life is a joke. On stage Barry says, "All he wants is a woman to like him for who he pretends to be." But in real life love isn't pretending. Ultimately neither will Barry." "First Point is proof that as both musician and surfer, Bill Kalmenson knows how to put himself in a place conducive for success. 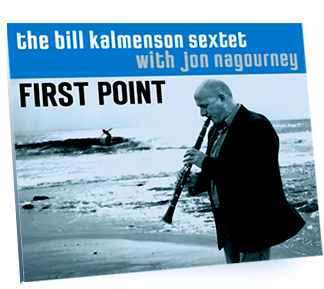 His rich and growing experience illuminate his every note"
Inspired by the Blue Note Hard boppers of the 1950's, "First Point" offers a swinging collection of Standards and Jazz tunes that are sure to please both the casual fan and the serious collector. Bill on the Clarinet and Jon on the Vibes combine for a swinging affair! Click Here to email Buffalo Jump Productions. Or just call us (323) 461-3422.